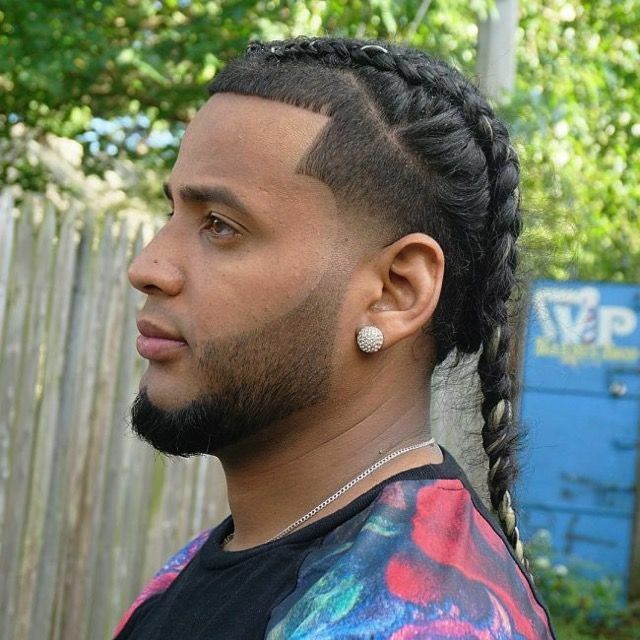 Men Braids Hairstyles have been in existence since ancient times and have thereby influenced men’s hair trend. 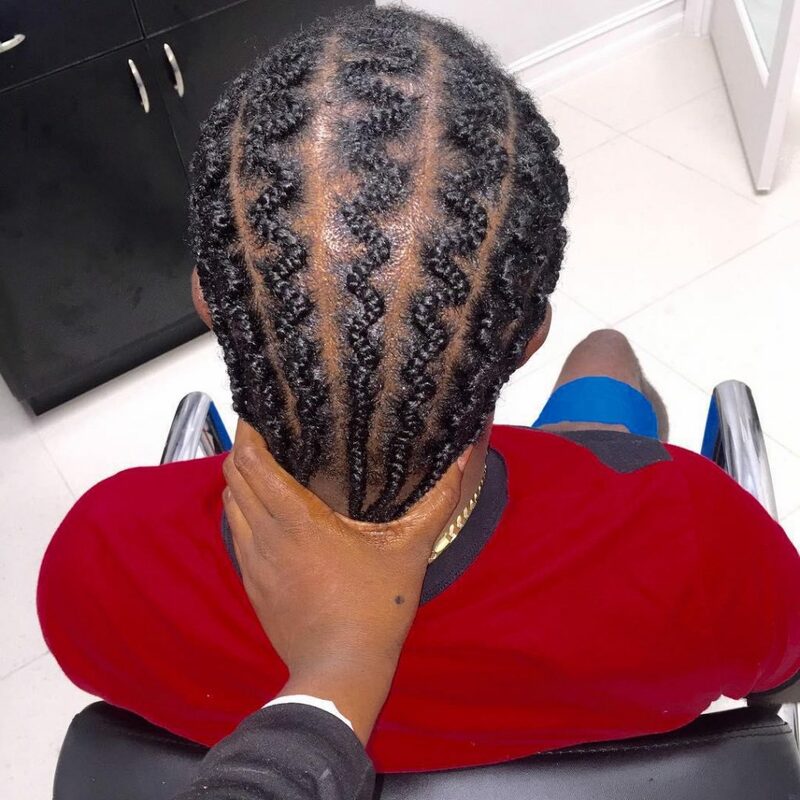 Braiding involves taking hair and making creative designs by weaving it together to form a pattern or patterns, which can be of different variations. 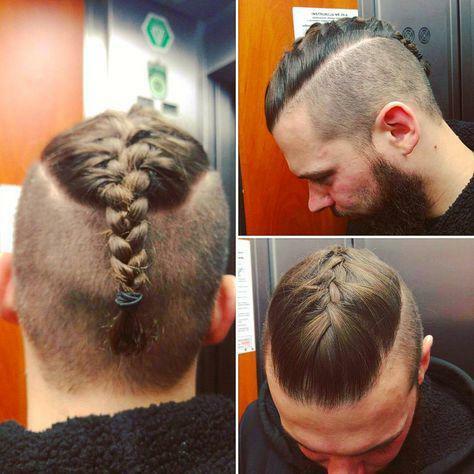 These men braids hairstyles are good if you have thick hair. The braids are woven in a unique circular coils and join up at the back end of the head in a large hair knot. 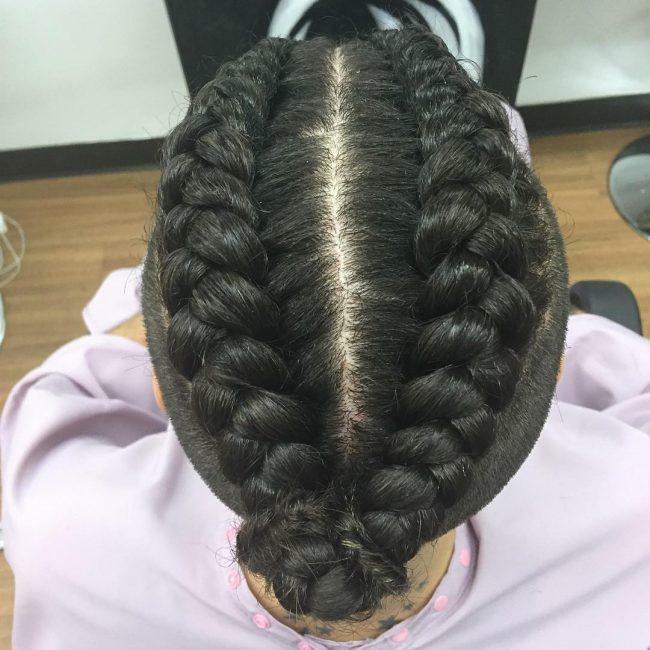 Braids are not closer to the scalp and are allowed to run down to the upper back of the body. 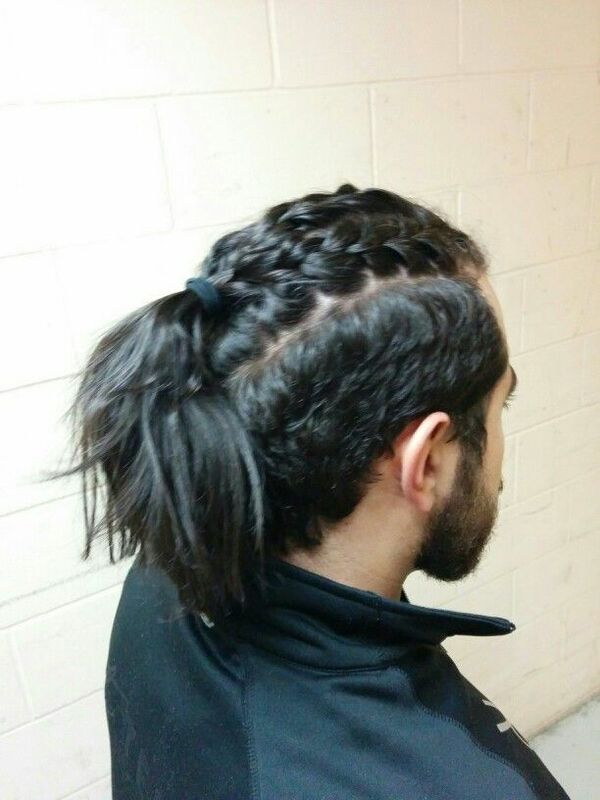 This is a mixture of straightened hair with braids. The braids are woven from the centre of the head. 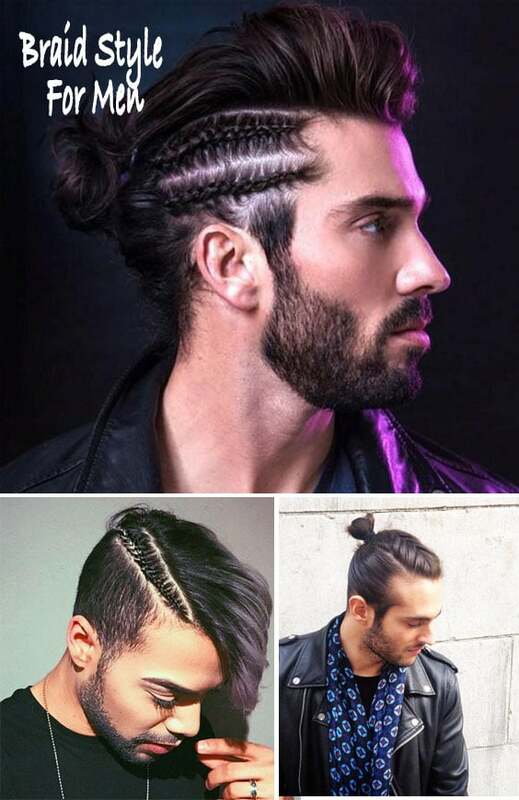 This men braids hairstyles requires very long hair or weaves. The excess hair from the head is woven to form a thick braid that can run from the back of the head to the lower back of the body. 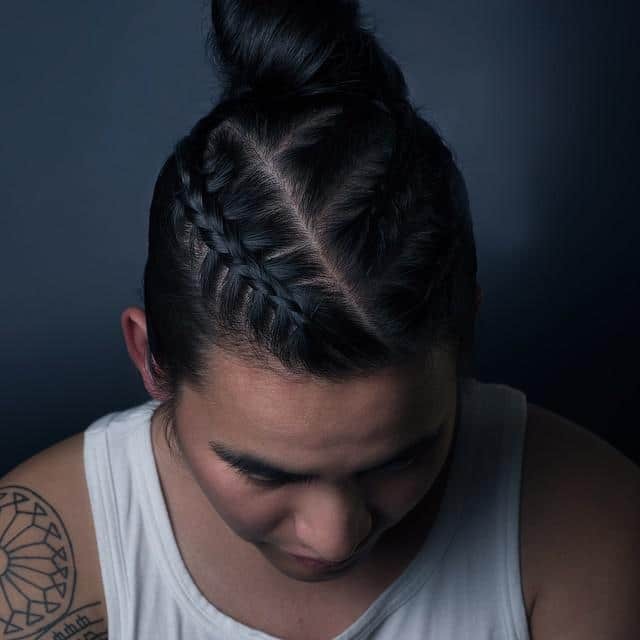 The braids are large and thick and originate from all sides of the head to meet at the centre where a top knot is tide in a unique way. 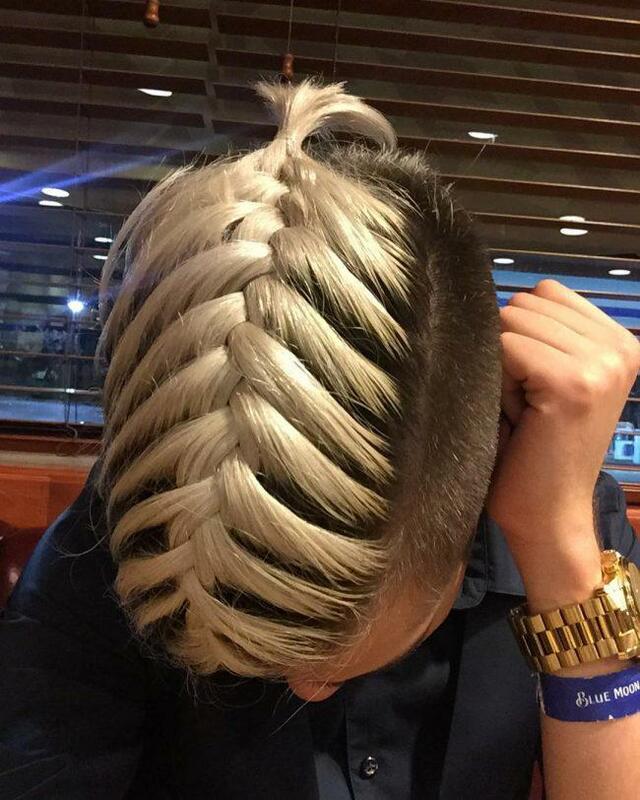 This braids look cooler due to the colour contrast from dark to gold. 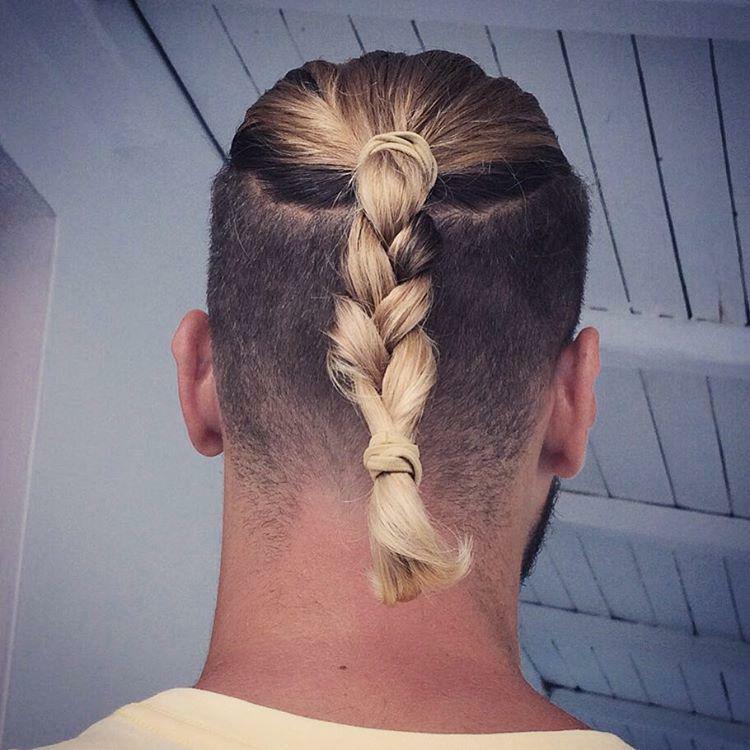 It has three small side braids stretching to the back of the head at each side. Two pairs of small braids intersect to form an X shape at the centre of the head. 6. Side braids and top knot. 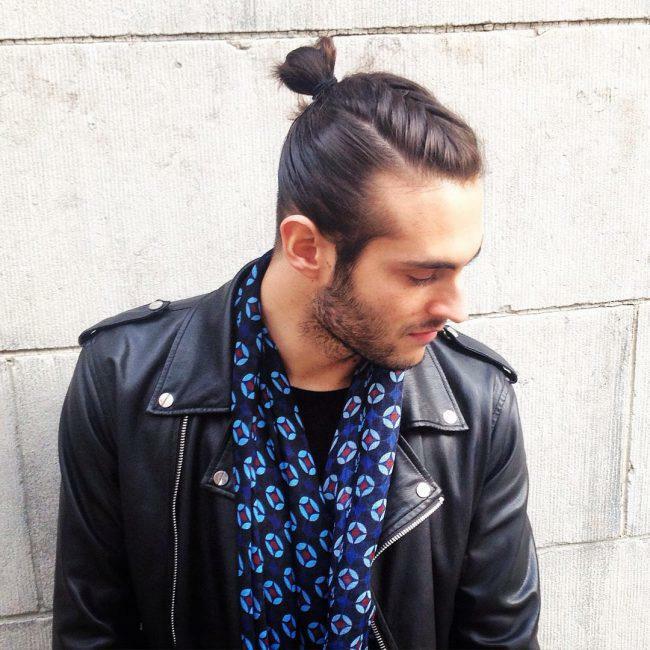 This is a classy look for men braids hairstyles that combines side braids and a top knot at the back of the head. 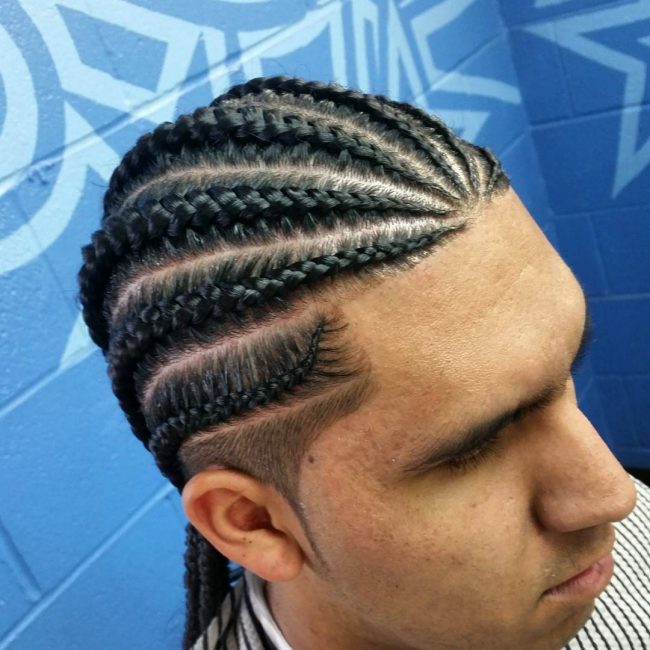 The side braids on one side are small and perpendicular to the thick braid on the other side. 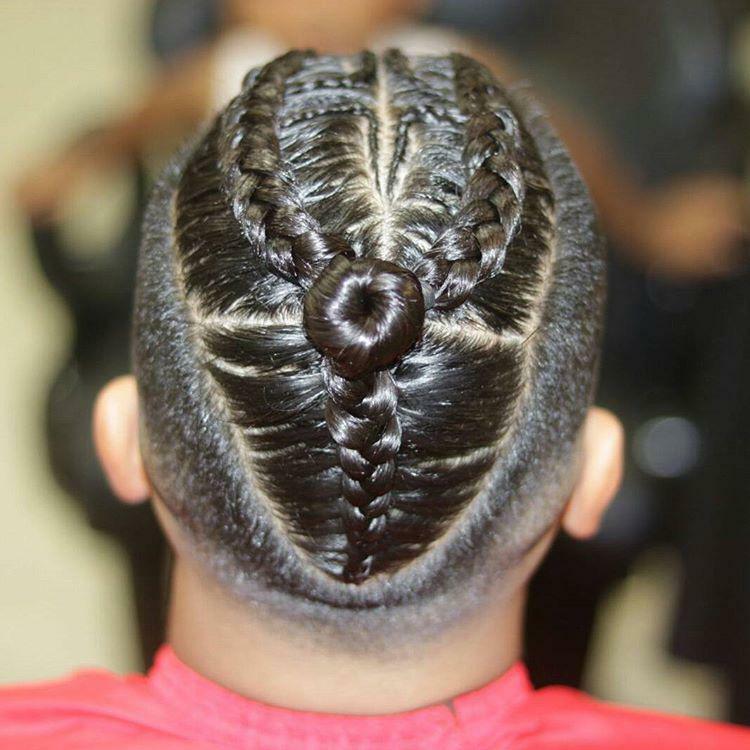 Four braids are woven at the sides of the head and joined together at the back of the head to form a heart shape. This requires that you have long thick hair that hold the braids. 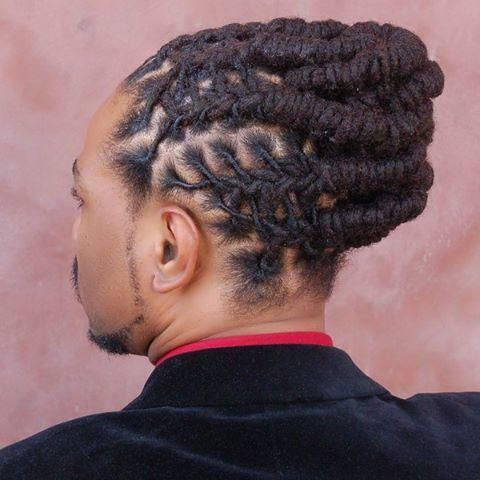 Two thick braids run from the forehead to the centre then hang from the centre of the head. 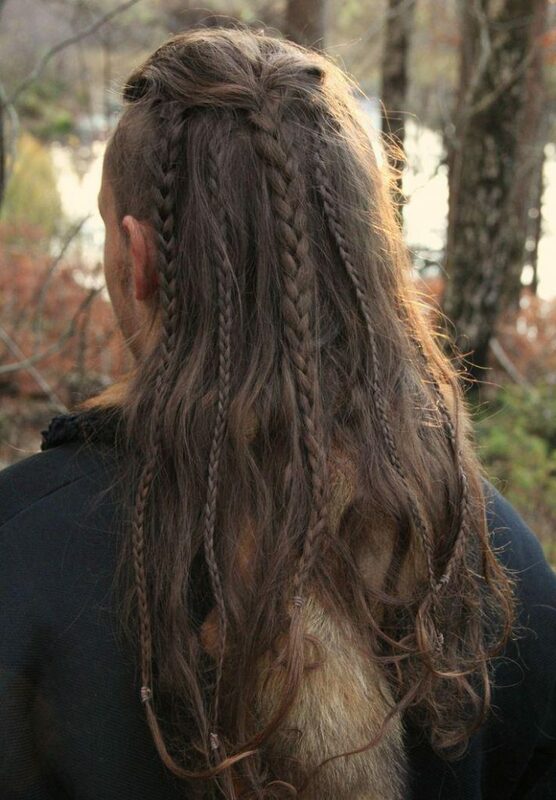 Two small braids are woven at centre of thicker braids to give it a unique look. Small braids run from the forehead to the back of the head and are connected at the centre with one large braid. The sides of the head are given a shallow shave. Small braids are woven into the shape of a heart, at almost equal distance, starting from the forehead toward the back of the head. Two other braids are woven at the sides accomplishing unique symmetry. 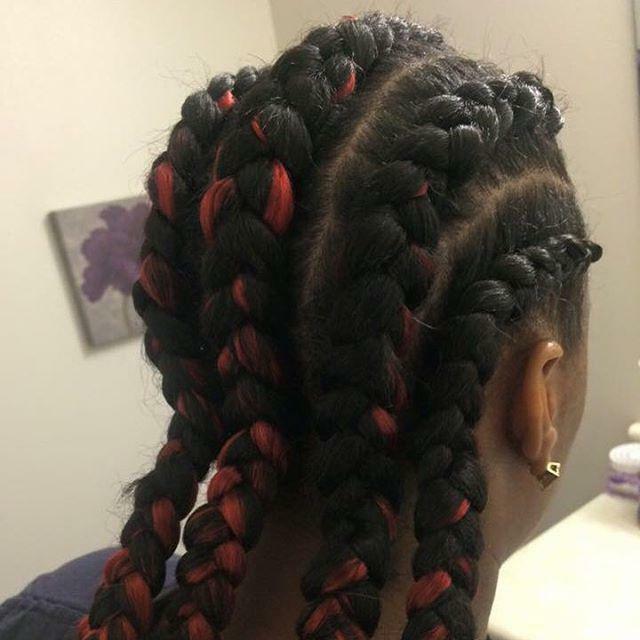 The braids are woven at equal separation distance and are allowed to hang. 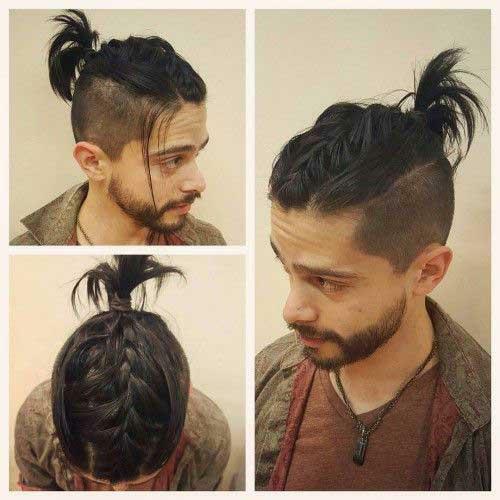 It an easy braid to weave requiring low maintenance. This braid style is extremely complex and requires some very good skills to complete. 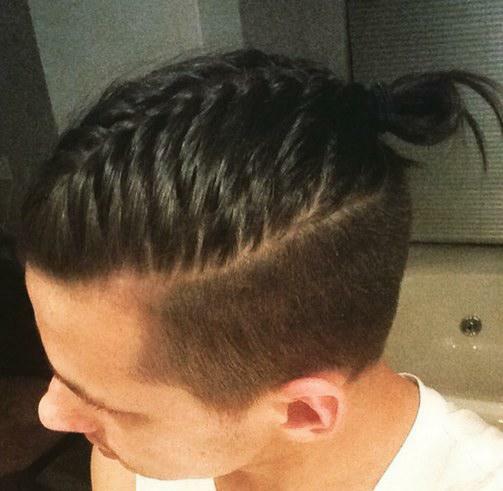 Three braids join at the centre of the head to form a small man bun. 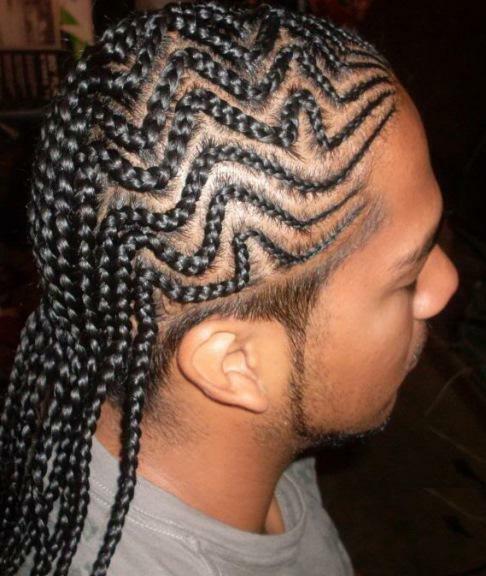 The sides of the head are shaved putting emphasis on the braids design. The braid is woven from very long hair and the remaining head hair is shaved to a shorter length. 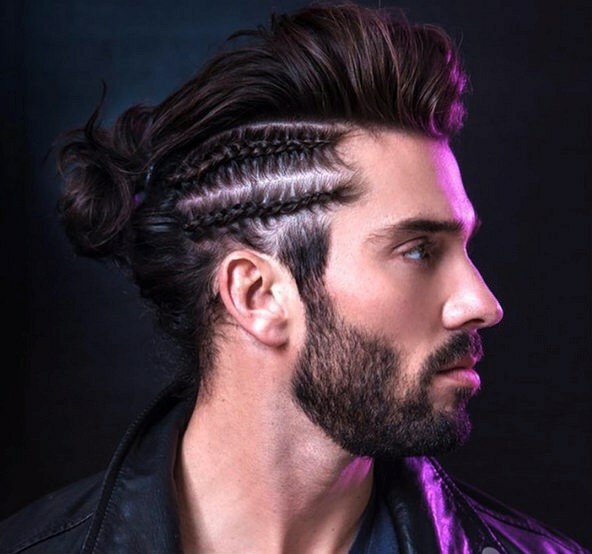 This men braids hairstyles requires you not to shave the part of your hair that you want braided. 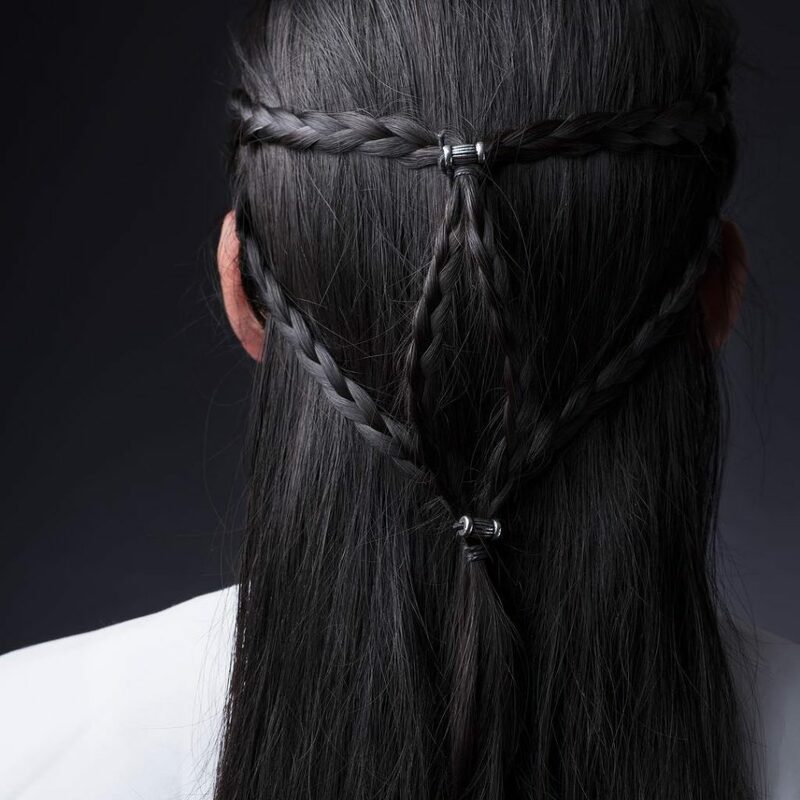 The thick braids are woven at the centre of the head and run to the back of the head. The sides are not woven but are tied at the back end of the head to cover the braids at the sides. The braids are initially woven by thicker hair, gradually the braids are tightened and left to hang at the back of the head. 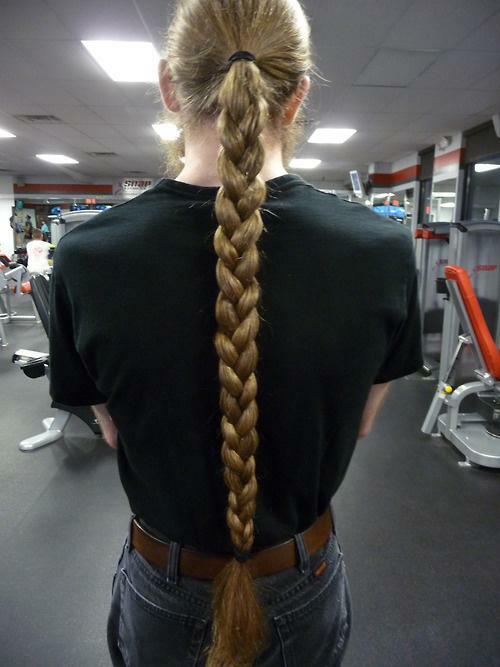 It require long dense hair on the top of the head to achieve such a braid. 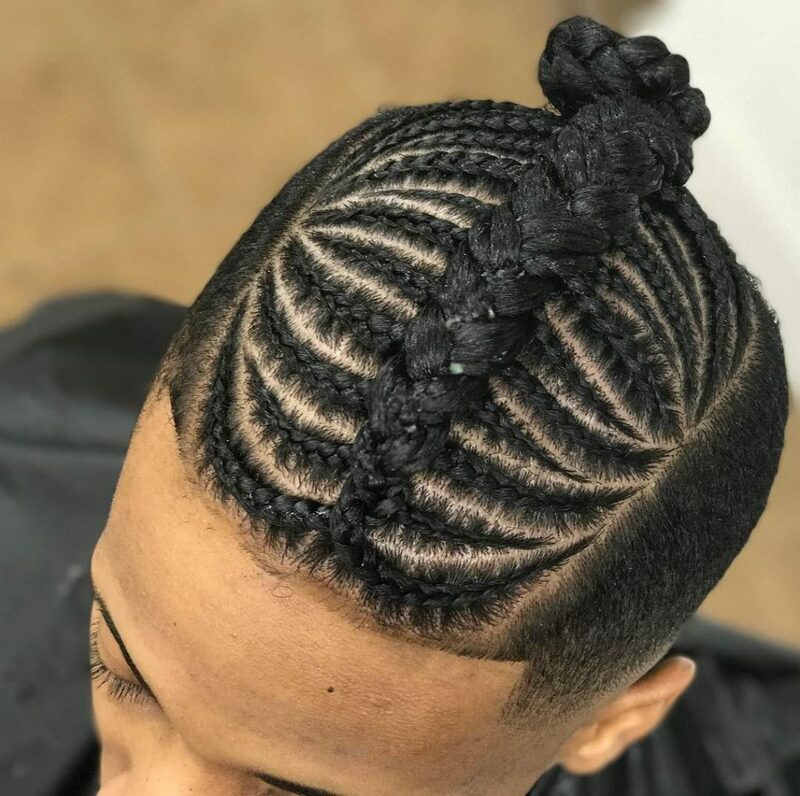 This men braids hairstyles consists of a few big cornrows which are easier to wear and maintain compared to having many. Giving them a unique style makes sure that they are brighter. 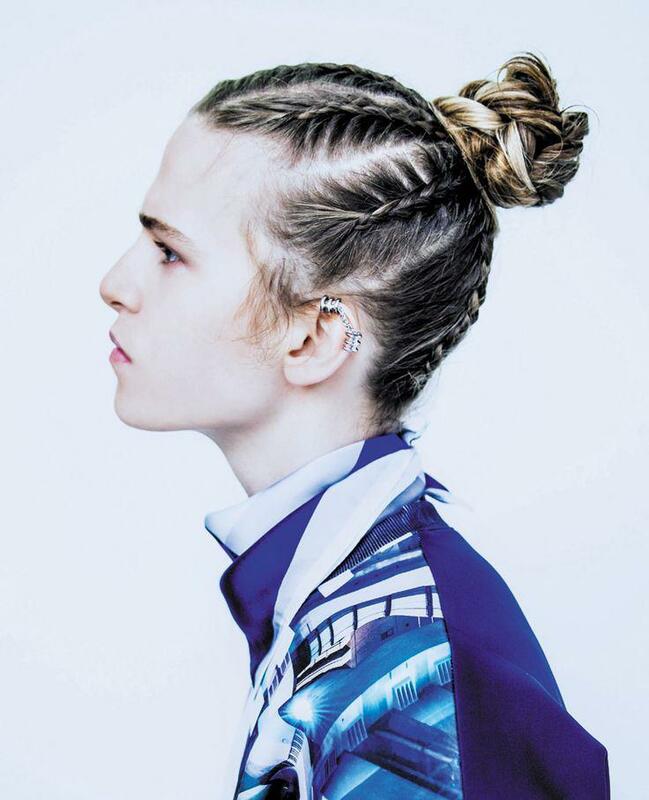 An alternative rather than having straight cornrows is having them in a zigzag shape. It spices up your hair and gives you a unique look, which becomes a new style as well. They are the very common since a lot of men with long hair prefer them. They can however be styled differently to look unique and interesting. This one consists of having one big twist on the top part of the head extending to the middle. 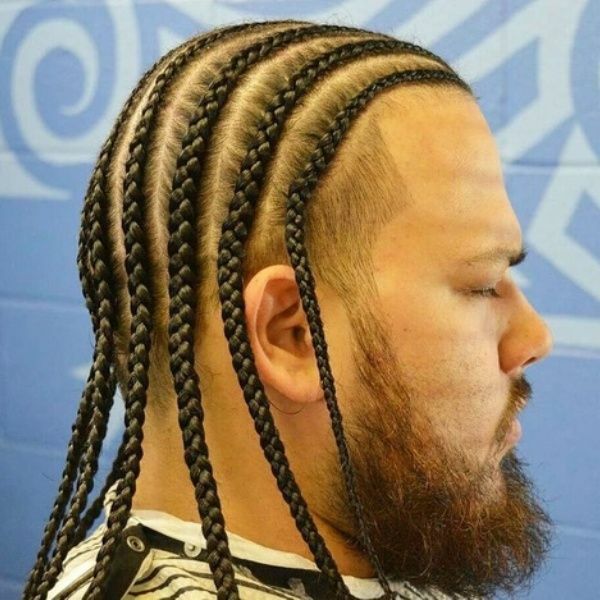 One can add some colors to their cornrows so as to make them brighter and more visible from afar, giving them a fresh look. Dying some parts of the hair before the hair is braided achieves this look. 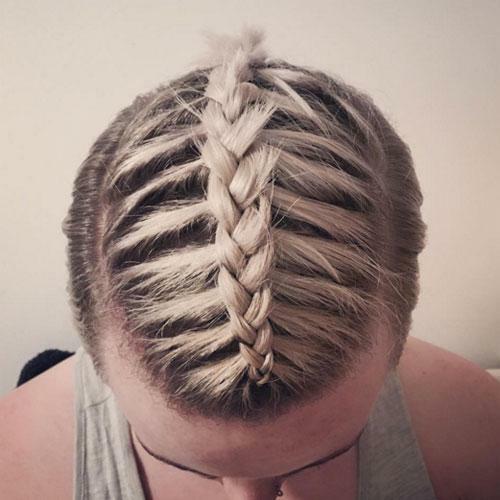 It consists of a pigtail towards the end of a French braid in the middle of the head. 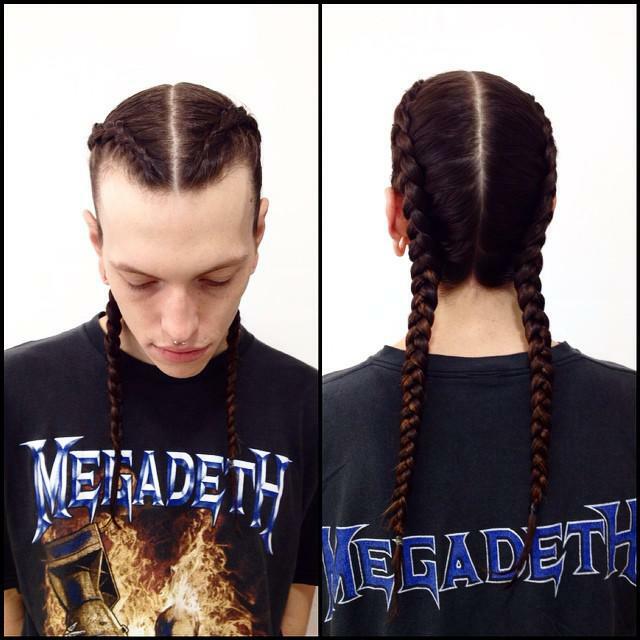 It makes your braided hair look good. One should also reduce the hair on the sides and back so as to make the pigtail visible. They are a pair of braids that are worked nicely towards the back. They are applicable to long hair and each occupy one side of the head. 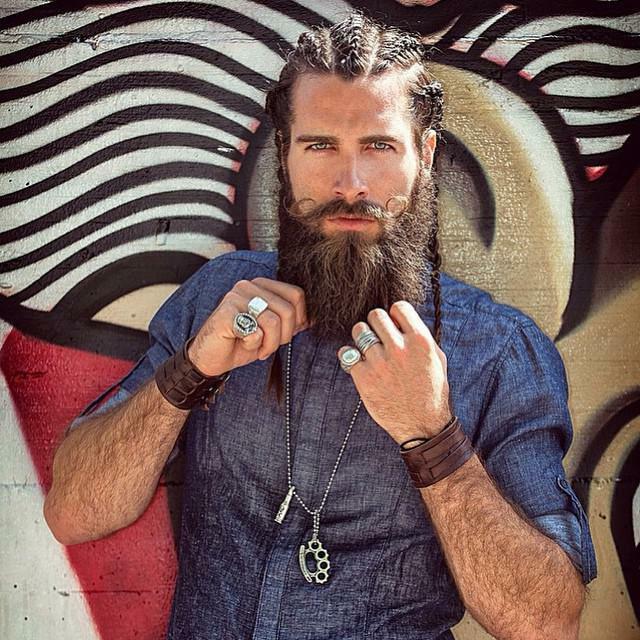 Done nicely, they make one achieve the look of a Viking Warrior. They do not involve much weaving. 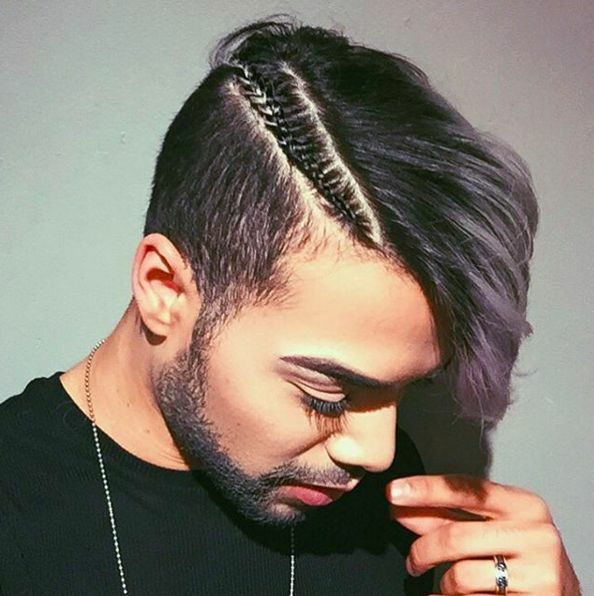 To achieve this look, one should leave the hair on crown long and then shave the sides and back. The hair is then pulled together and woven into a braid which starts from the top of the head. 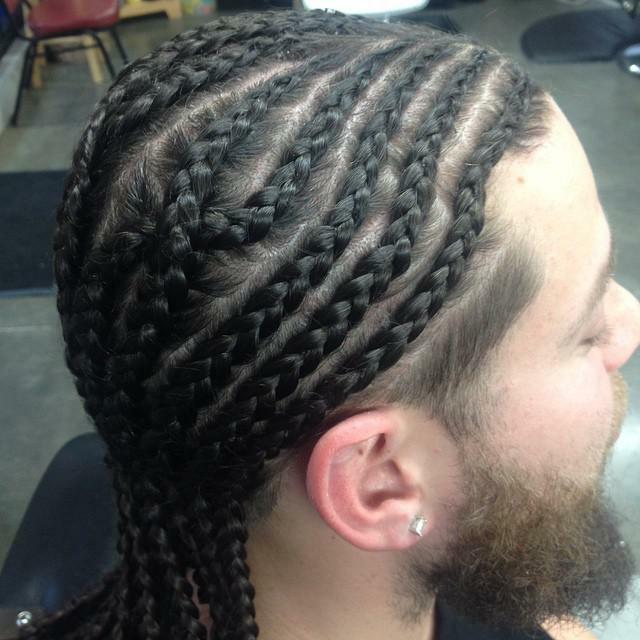 The cornrows flow all the way to one’s back and look good when paired with facial hair that is oversized. Keeping a full beard and long cornrows achieves this look. 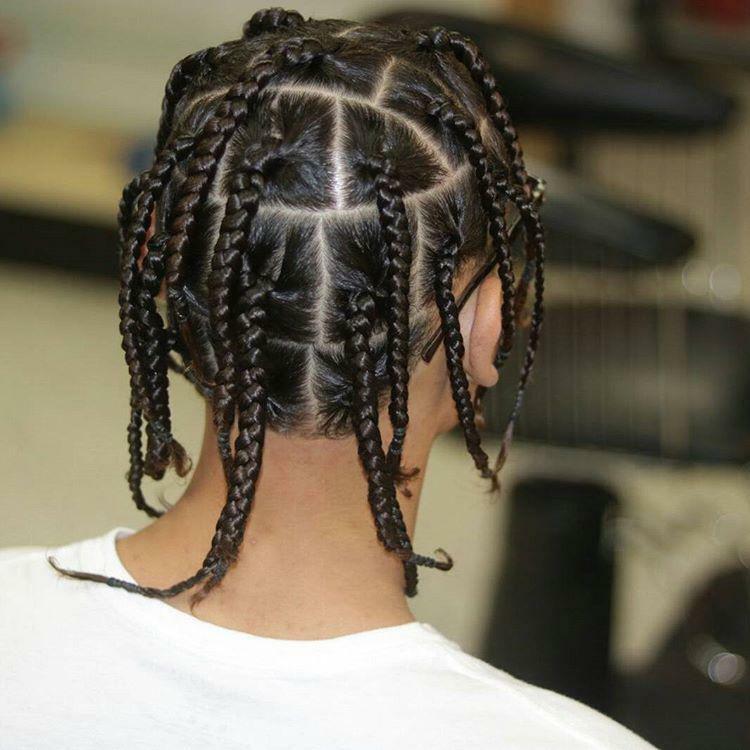 It involves having simple long hair atop the head and a single or two thin cornrows or braids on the side of the head. 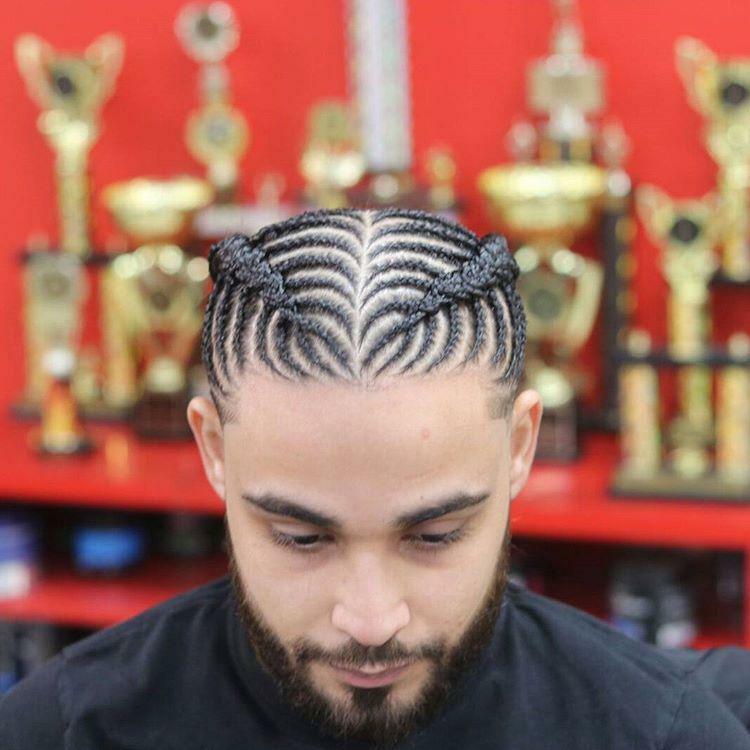 This brings out a uniqueness standing out from normal cornrows. One only requires to weave their hair into a fishtail and later push the rest of the hair to the back. 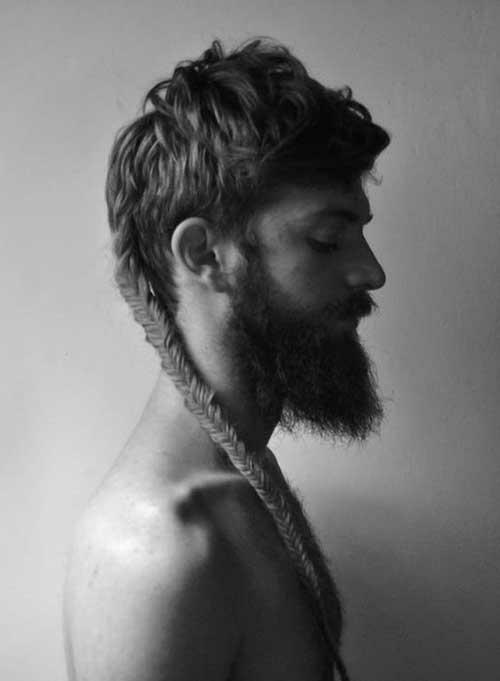 Varied ways of creating a fishtail exist but all that matters is to eventually have the fishtail at the end. Men who love to look good love pumper their hair. Good and attractive short hairdos for men gives men confidence and pride to take the next step in whatever they are doing. 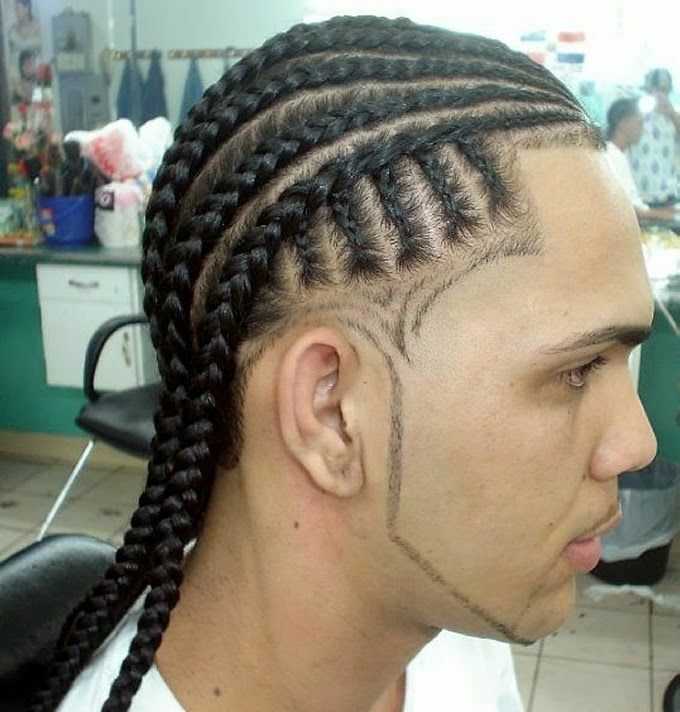 Braids have now become one of the most famous hair fashion for men of every race and culture. 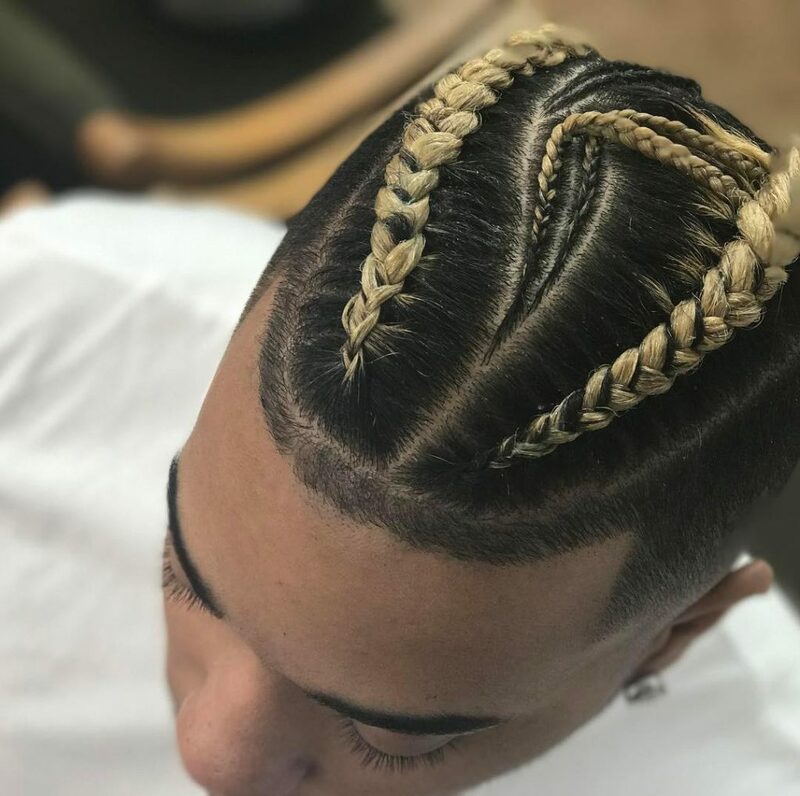 Some of the most fascination men braids hairstyles that will take your looks the next level are displayed here for you to choose.